Today we officially celebrate the 1st day of summer! It came in with some beautiful weather and I am very excited for the season ahead. This is a wonderful recipe to have in the freezer to be enjoyed by all ages. This recipe is nicely sweet due to the honeydew. The cucumber provides a nice contrast, diluting the sweetness of the honeydew. Depending on the ripeness of your fruit you may need to add a spoonful of honey, but taste as you go. You may have noticed a reliance on cucumber in the last few recipes. I have been cucumber crazy lately as I get ready for summer. Cucumber is diuretic and pulls excess water out of your body keeping you nice and lean. It is powerful enough to hydrate on a cellular level, sweeping away toxins accumulated in your cells which can reduce cellulite and keep you looking toned. 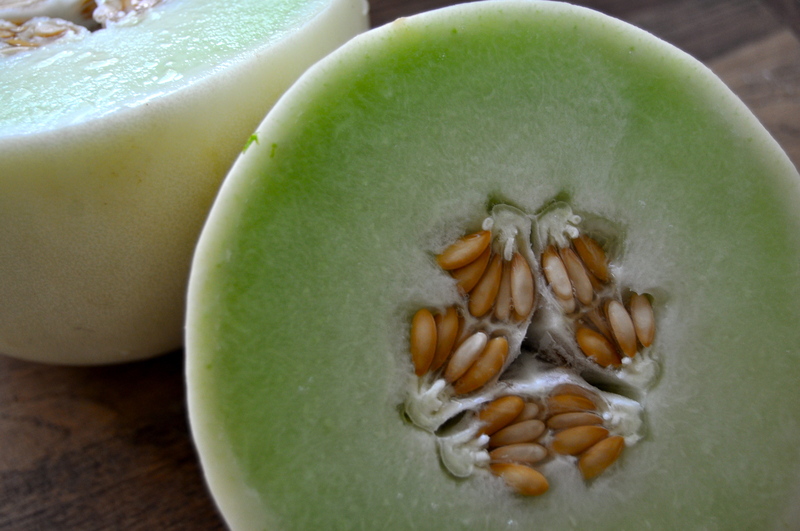 Honeydew is from the same botanical family as cucumber and has these same properties. Enjoy this recipe for a double dose of hydrating goodness. Place ingredients in blender. Blend. If needed add a little water to help the blender get going. 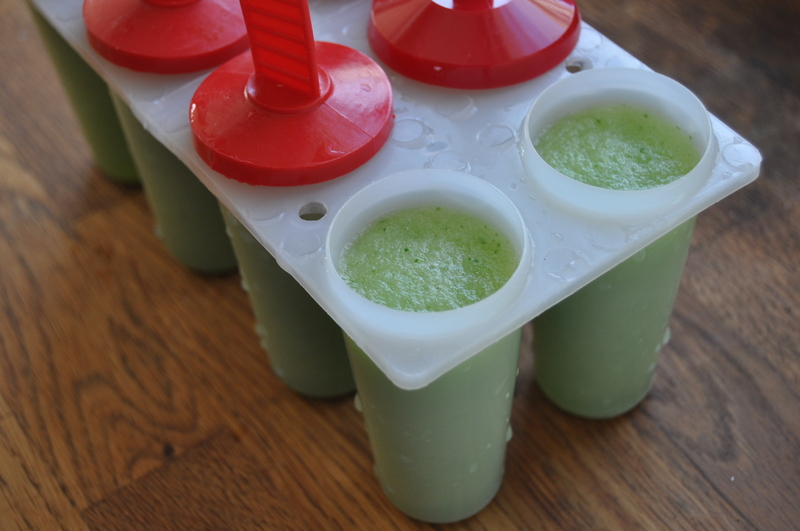 Try and use as little as possible to help the popsicles retain their full flavour. 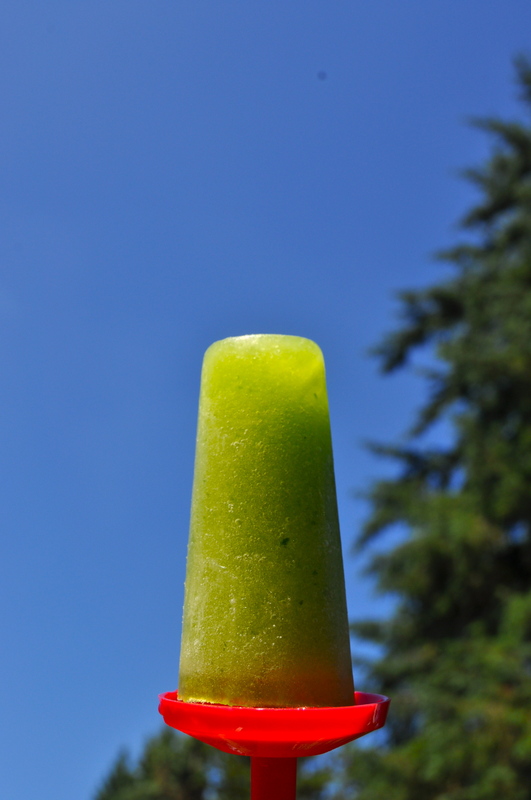 This entry was posted in dessert, juice, raw, smoothie, snack, vegan, vegetarian and tagged cucumber, dairy free, easy, food, fruit, gluten free, healthy, honeydew, popsicle, recipe, summer, vegan, yummy. Bookmark the permalink.